This committee is active throughout the year but most active in the first semester. 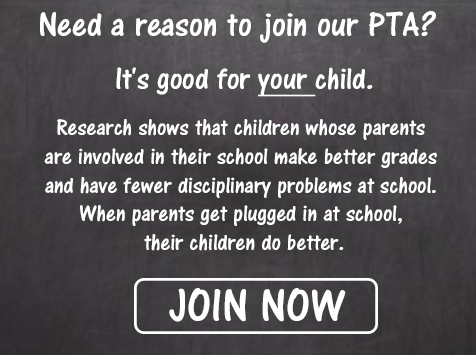 The committee reaches out to parents to increase PTA membership, collects membership dues and distributes membership cards. Please contact Debbie at dayamauchi@gmail.com or Courtney at Courtney.mills01@gmail.com to help out. The Special Education Committee of the PTA exists to support the students, teachers, administrators, parents and the community at large with all aspects of the special education program provided at Creekside. Our goals include: •Education regarding the scope, rights and impact of the special education community inside the greater Creekside environment •Helping our children have a positive experience at Creekside through educational and parental support through the PTA •Support EC educators with material or other resources upon request or through outreach •Aiding in facilitating better communication between parents, teachers, faculty and district/state administrators •Providing resource support to parents for IEP planning, 504 plans, networking and services •Promoting inclusion, acknowledging PBIS standards and high expectations of all students. Become Involved: There are many ways to become involved. Feel free to contact us to find out how you can help with: •Communication, Education and Enrichment through the committee •Participating in events designed to improve student-teacher experience at Creekside. One of Creekside’s most precious assets is our staff! This committee is responsible for the planning of monthly events and the planning of the school’s weeklong celebration in May! Contact Erica at ericalibertore@gmail.com or Erin at erinfleonard@gmail.com at if you can help! You don’t need to be science-minded to join this committee – only a desire to help our children discover science is needed! This committee organizes speakers for in-class presentations, Science Festival and the student science fair. The Annual Science Week will be held in March of 2014. The committee is active from December through April. Please contact Stephanie at stephbroka@me.com for more information on volunteering for this committee! This committee helps plan our International Night, and provides other opportunities for our students to explore the world. This committee will be active throughout the year. Please contact Genna Miller at gm19@duke.edu or Elina Urli Hodges elina.urli.hodges@gmail.com to lend a hand. Do you want to have some springtime fun? Then join this committee to plan Creekside’s Annual Spring Carnival & Raffle anticipated to be held in May 2019. This committee is active from December through May. Contact Stephanie at Stephanie Seeds sseeds@outlook.com for details on how to volunteer for the carnival and Rhonda at rcolewoodell@gmail.com, Robin at robin.smithleissner@gmail.com or Jennifer at foofot04@yahoo.com to learn how you can help with the raffle. While money isn’t everything, it goes a long way to ensure our students’ success. This committee will research funding opportunities from local, regional and national sources to fund projects at Creekside such as the addition of Specialist faculty in technology and science, school beautification and specific classroom/lesson plan related requests. This committee will be active year round. Please contact Christie at christie@masinick.com to help us secure what our students need! Calling all parents with a green thumb or an eye for ways that we can keep our school bright and beautiful! This committee will be responsible for improving the landscape, play areas, and general appearance of our school. Won’t you lend us a hand (or a shovel!)? This committee will be active year round. Contact Patricia at plately@gmail.com.